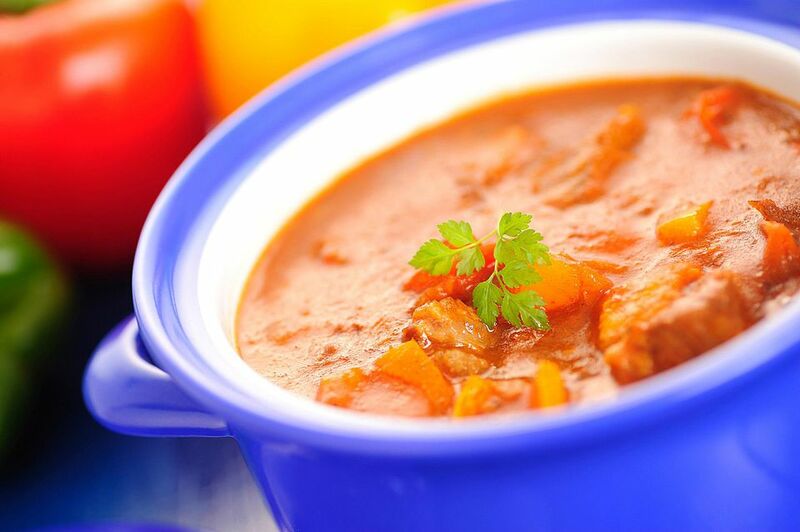 This is an easy beef goulash for the slow cooker. The beef is browned with the onions them slow cooked to perfection with paprika and a tomato based broth. In a skillet or sauté pan, brown meat and onions in the vegetable oil. Transfer the beef and onion mixture to slow cooker with beef broth, flour, tomato sauce, paprika, and pepper. Cover and cook on low for 8 to 10 hours, until meat is tender.